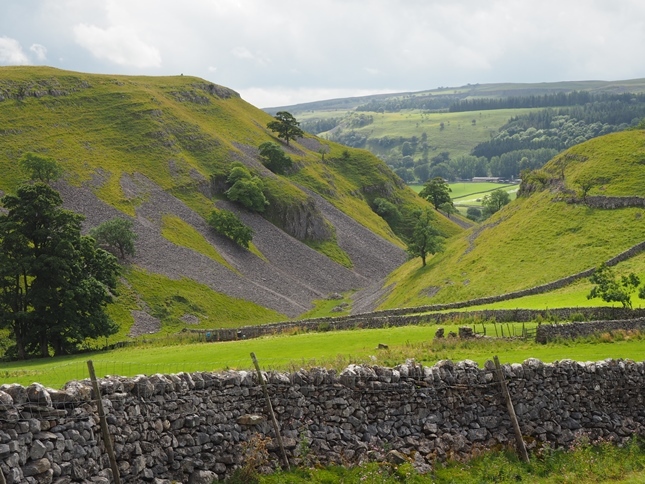 Conistone Dib is a classic example of a dry limestone valley and is situated above the small village of Conistone in Wharfedale. 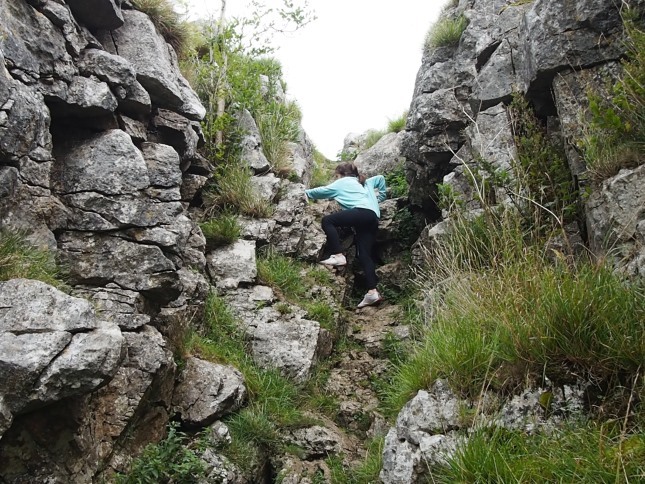 Conistone Dib is reached via a stony track heading east out of the village climbing over a couple of limestone steps before entering Gurling Trough, the portal to Conistone Dib. 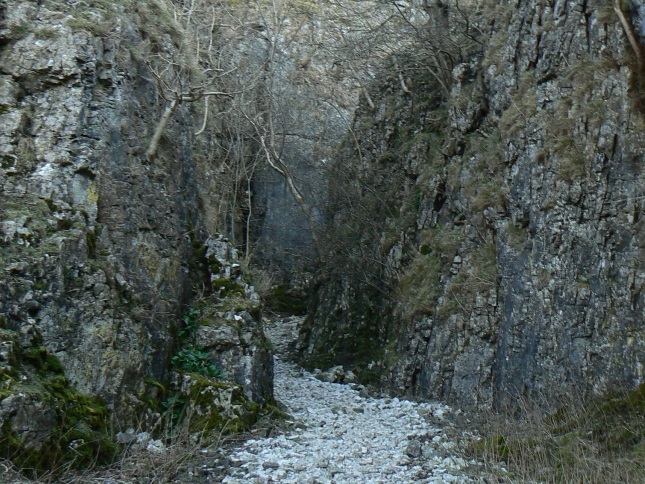 A miniature limestone gorge Gurling Trough is, in my opinion, one of the most atmospheric places in the Yorkshire Dales. The exit from Gurling Trough is over a smooth limestone slab which in days gone by looks like it was a small waterfall. After Gurling Trough the valley opens up somewhat with a lovely green path replacing the rocky track. The most striking object of this section of the valley is Bull Scar up to the right. Narrow paths slanting up to the right provide the opportunity to climb up out of the valley before it tapers to a narrow point at the far end where there is a limestone scar. This can be overcome by a short and easy scramble. Whilst it can be slippery and needs care in descent this scramble was easily accomplished by my nine-year old daughter and is good fun. 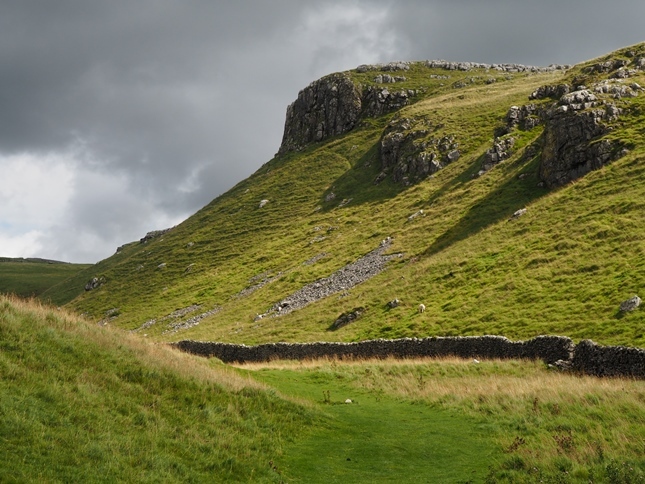 There are numerous places to get a good view down into Conistone Dib, one being just to the right of the scramble at the end. There are also some good views of the valley from the Scot Gate Lane track to the north. 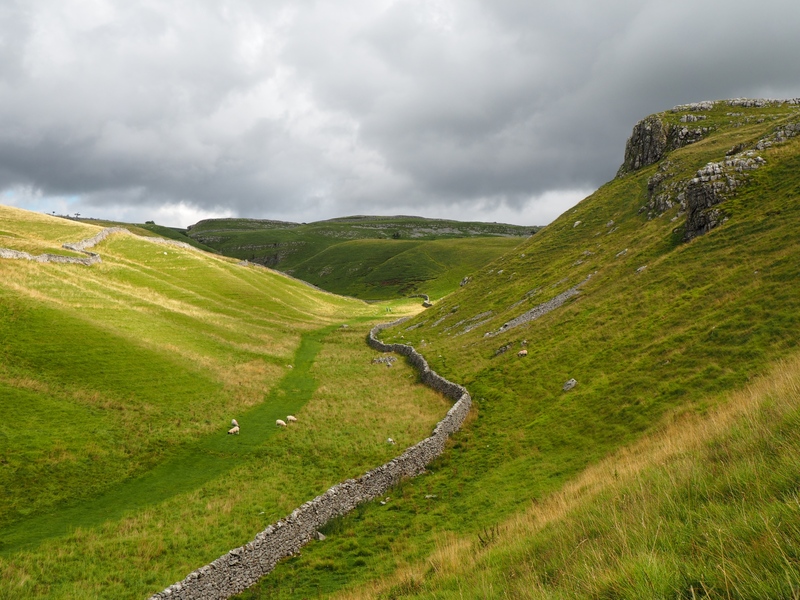 An outing featuring Conistone Dib via Gurling Trough before heading to Conistone Pie is one of the finest limestone walks in the Dales.